After 2 surgeries, freezing, acid, dry needling & more failed. In two months, fully photographed. 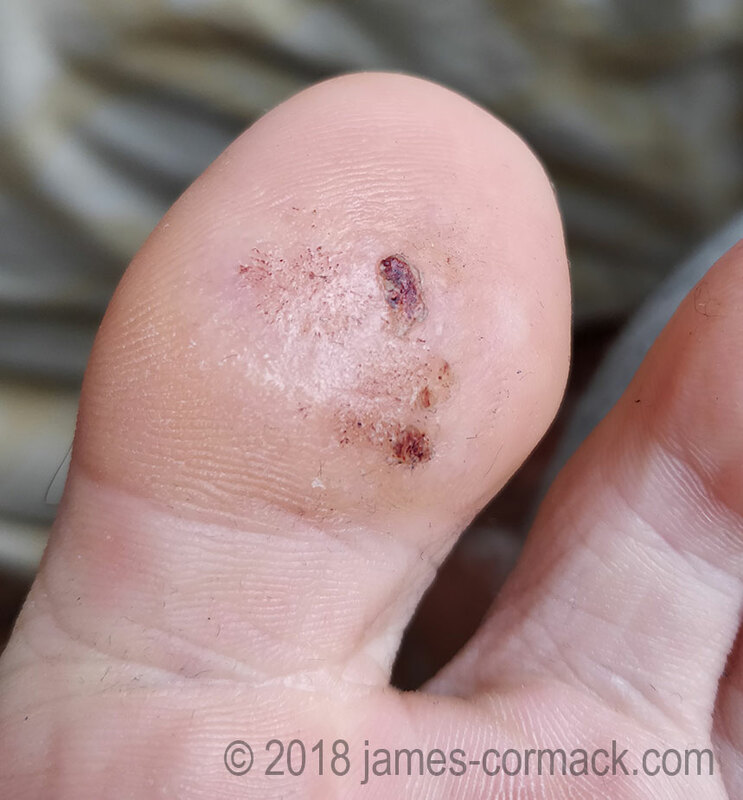 The warts (aka 'verrucas') were over 20 years old. Doctors said nothing else could be done. 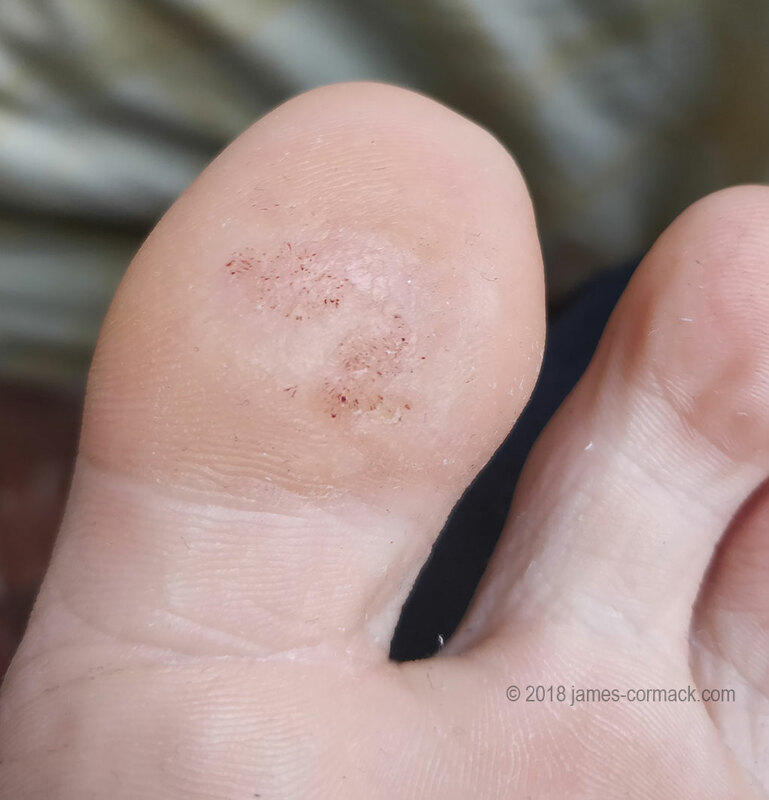 After using Quest Cognitive Hypnotherapy (QCH), intended to activate an immune system response, the warts disappeared completely in only 2 months - easily and painlessly. This treatment is now available online to clients worldwide, for warts on feet, toes, hands, fingers or elsewhere. Continue reading for the complete summary, explanation and the full 2 month progress photo gallery. 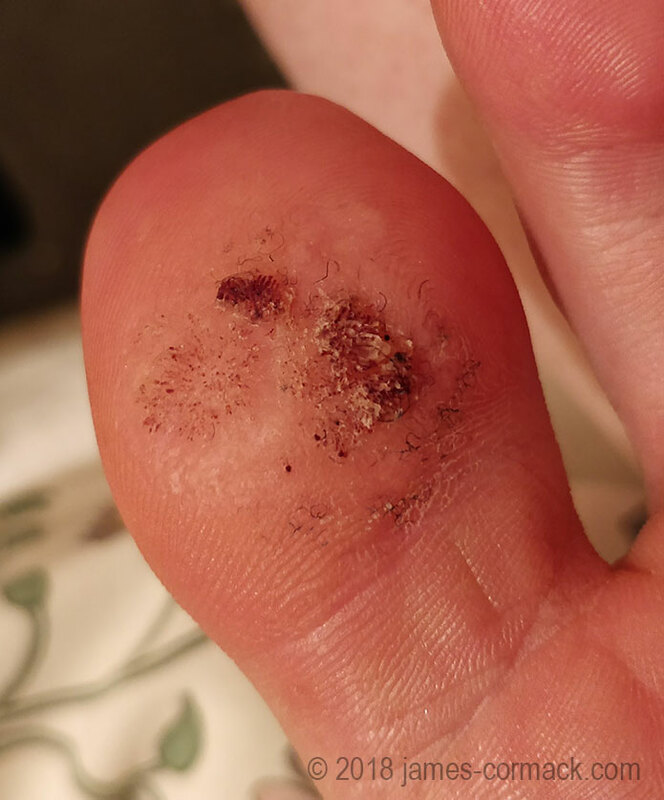 I had large, ugly and extremely stubborn warts (sometimes called 'verrucas') on my left big toe for at least 20 years. They appeared in primary school and stayed there into my adult life - dozens clustered together (sometimes called 'mosaic warts'). I was embarrassed every time I took off my socks. They stopped me taking up yoga, martial arts or other barefoot activities where people are considered antisocial for 'not just getting rid of their warts'. Left alone they would grow a thick layer of dead skin. I used to cut that away so they were less noticeable, which revealed hundreds of black dots, blocked blood vessels called petechiae that indicated a large infection of the HPV virus (which is the cause of warts and verrucas). Nothing could remove my warts, and I tried everything. 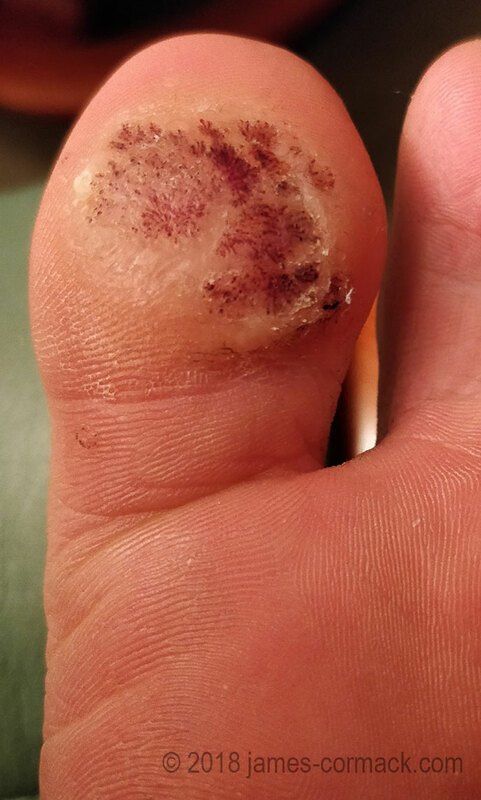 Two expensive 'curettage' surgeries in 2014, with a reputable podiatric surgeon. They told me it had never failed on the second attempt. Each surgery required several weeks' recovery unable to walk. Doctors would 'freeze' them with huge amounts of liquid nitrogen, dozens of times. 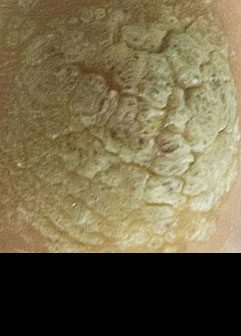 After one session my doctor commented the whole area of warts was “a block of ice”. My toe blistered up to twice its size and hurt like hell - and they still didn't go. Acids and other chemicals did nothing, even applied directly to the warts (dead skin removed beforehand). I heard about dry needling, a little-known technique to cause an immune response in warts and verrucas. It did nothing. I tried visualisation and "thinking them away" to get rid of them too. Nothing. In mid-2017 my doctors told me nothing else could be done. I'd tried every safe technique they could recommend, none had worked, and I had to live with these warts. At some point during those 20 years I heard that hypnotherapy could remove warts and verrucas. There was already information showing old-fashioned hypnotherapy can be effective (eg this study), and later I came across Quest Cognitive Hypnotherapy, a cutting-edge evidence-based approach, which it seemed could be a lot more effective. But I either didn't believe it or I was afraid to find yet another treatment wouldn't work. So for years I didn't try it. 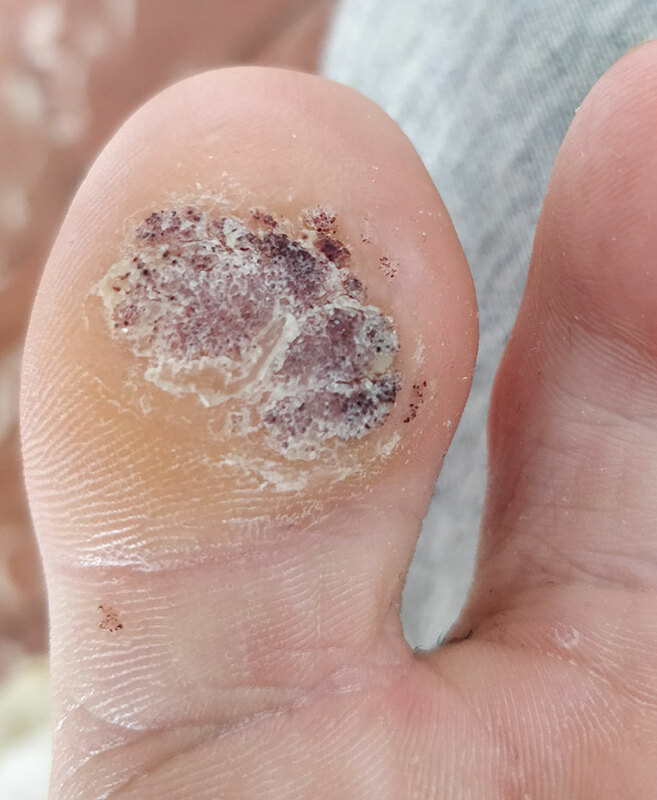 Believe it or not, I was successfully treated for stress and anxiety by a Cognitive Hypnotherapist - and then trained and became a Cognitive Hypnotherapist specialising in stress - and yet I still hadn't bucked up the courage to try it out on my warts! Finally, on 7th January 2018, I started my Cognitive Hypnotherapy warts treatment. I cut away the dead skin so I could judge the size of the infection, and took the first photo. 60 days later they had disappeared. 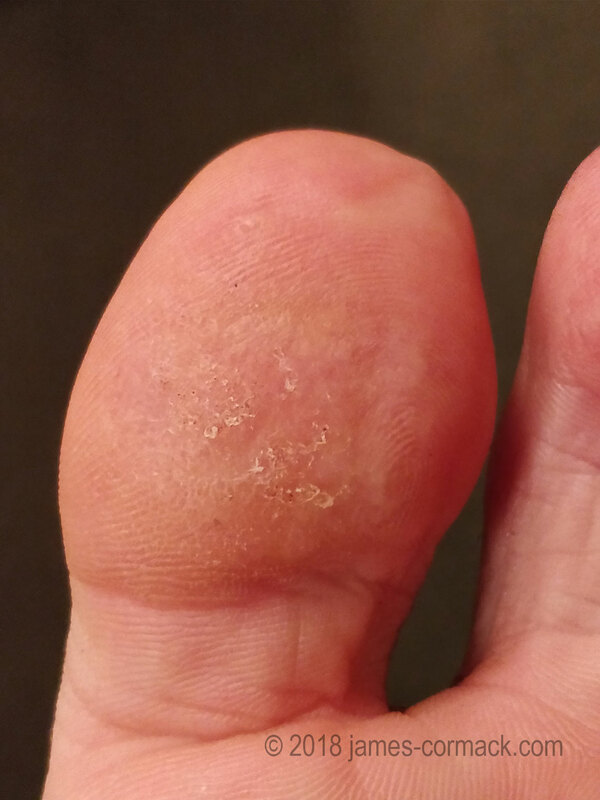 How the warts would look if left alone. On day 1 I cut off the dead skin so I could judge the size of the infection. After cutting away 2-3mm layer of dead skin. 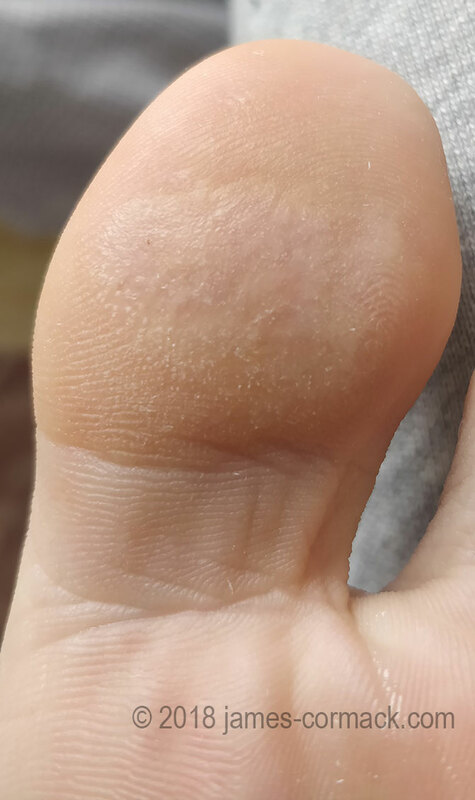 20 year old warts; large infection indicated by hundreds of black dots (petechiae). 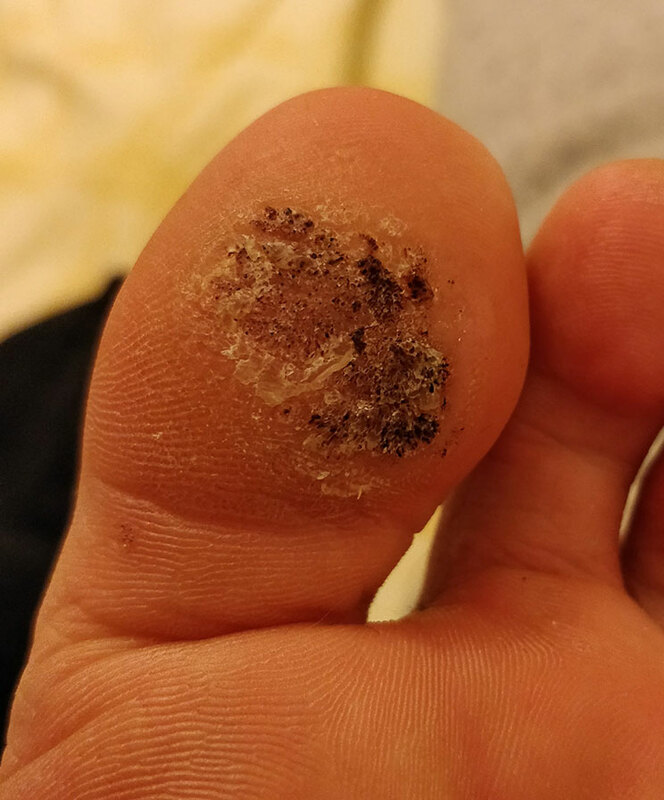 Smaller wart to bottom-left, and another under toe nail (not shown). Dead skin beginning to grow back as usual. I hadn't noticed any improvement by day 13. Still unsure if the treatment is working, but notice the dark areas appearing on the right. And now they're gone. I sent a photo of my new toe to my mum, who knows how I struggled for 20 years. "I remember when you got them at school! I can now enjoy the beach care-free, and I've taken up yoga. At the time of writing I'm thinking about taking up Brazilian Jiu Jitsu. Doors have opened for me. It's only sinking in now that, after twenty years, that toe looks healthy and normal. I no longer have anything to hide. It's a great feeling. The rationale for using hypnotherapy on warts (or other physical conditions) is that the mind can affect the body. A very simple example of this is blushing - you experience embarrassment, and then your body changes (blood flowing to your face). Or if you imagine slicing into a juicy yellow lemon (and maybe look at some pictures too) - you may notice your mouth starting to water. Another example: It's well-known that psychological stress can weaken your immune system. The connection between the mind and the body is increasingly understood by modern medicine (for example in the field of PNEI), but has been reported anecdotally for centuries. Quest Cognitive Hypnotherapy provides a wide range of cutting-edge approaches that can be used with the aim of jump-starting your immune system, to attack the human papillomavirus (HPV) that's caused your warts or verrucas. 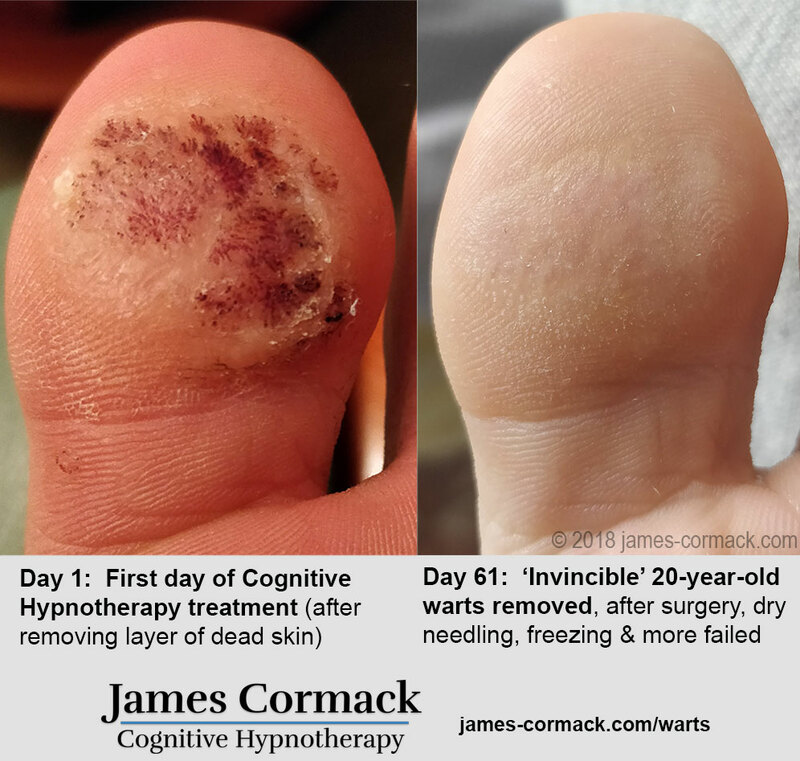 My 'invincible' warts disappeared after using Quest Cognitive Hypnotherapy, and now I offer this service to clients online or in-person (in Barcelona, Spain). Book a consultation with me to explore how we can work together. While Cognitive Hypnotherapy worked for me, I cannot guarantee it will work for you - but I can assure you Cognitive Hypnotherapy provides many different options for us to attack your verrucas or warts, in many different ways. Book a consultation with me to begin your treatment - I work online with clients worldwide, or in-person in Barcelona, Spain. Do you have any more evidence that hypnotherapy can remove warts and verrucas? Yes. It's widely reported that warts and verrucas respond to old-fashioned clinical hypnotherapy (for example here's a study of 41 cases) - however Quest Cognitive Hypnotherapy is a new and highly effective evidence-based approach, with many flexible, cutting-edge ways to help a client, and not stipulating that a client be "hypnotisable" or "suggestible" like many traditional approaches. Did the hypnotherapy actually do anything? Did the verrucas actually disappear by themselves, by coincidence? 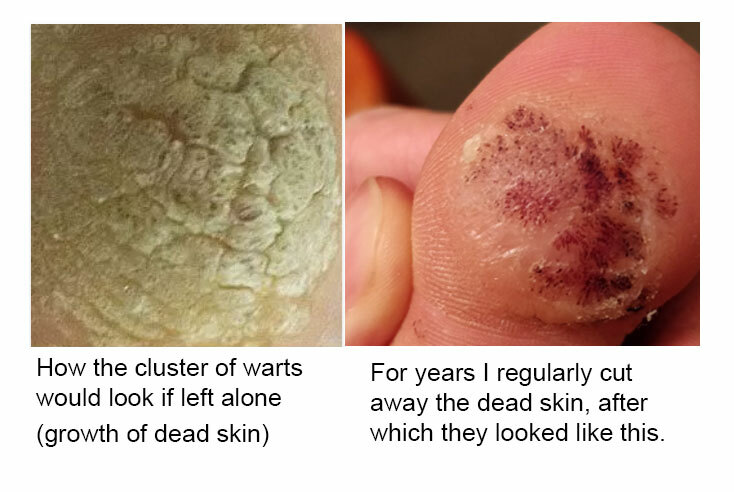 I had these warts for 20 years, with no sign of improvement up to the day I started the Cognitive Hypnotherapy treatment... And from that day, they diminished and disappeared in only 60 days (see the full 2 month progress photo gallery). Cutting away the dead skin also seemed to do nothing to remove the warts. I did that many times over 20 years, and it never caused warts to disappear. The only intervention I used between day 1 and day 61 was the Cognitive Hypnotherapy treatment. No other intervention or medicine was used in that timeframe (or indeed for a long time before day 1). Does Cognitive Hypnotherapy work just as well online as in-person? Absolutely. All that a Cognitive Hypnotherapist and a client need to do is speak to each other - the real work is done by your own unconscious mind, and that's equally possible either in-person or online. Many Cognitive Hypnotherapists work online every day, treating all kinds of issues. Warts and verrucas are no different. When I was successfully treated for stress and anxiety, I never saw my Cognitive Hypnotherapist in-person. Every session was online, and I thoroughly enjoyed the experience.